Make a clean break from your old-school security. Join the thousands of customers who have already switched to Sophos and now enjoy simple, effective protection. The migration process is straightforward and can be accomplished in a matter of days. At Sophos we take a new approach to protection. We frustrate attackers by preventing their favorite exploits, and use multiple layers of security to automatically prevent, detect and respond to threats. This way, we can ward off zero-day attacks without having even seen them before. With Sophos it’s easy to reach expert help whenever – and wherever – you need it. Robert Talley, IT, Lassen County Office of Education. Platforms "Sophos is a leader"
Not yet ready to make the full switch to Sophos? No problem. Sophos Intercept X runs alongside your existing antivirus product, bolstering your protection against advanced and unknown threats, and stopping ransomware in its tracks. 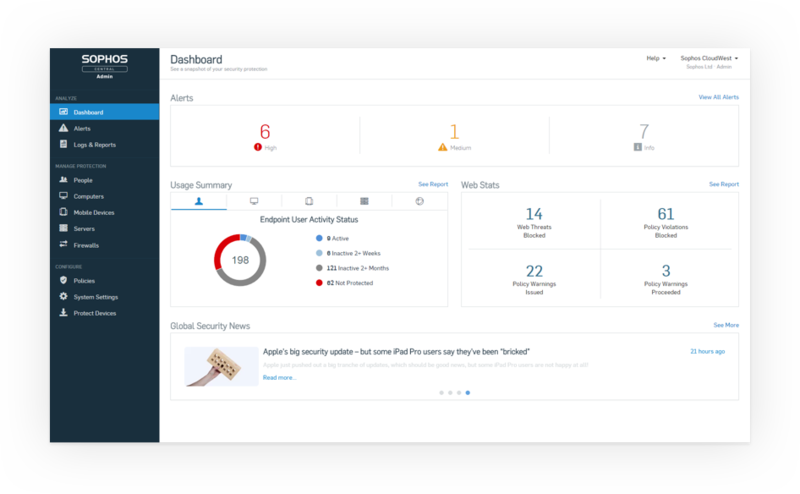 Try for yourself to see why more and more customers are switching to Sophos Endpoint.